The Partnership Group – Sponsorship Specialists® has a strong team of leadership and industry sector advisors. We serve corporate sponsorship needs as well as the needs of selling properties / rights holders such as non-profits, charities, associations, events, conferences, and sports organizations. The Partnership Group has developed a unique approach to sponsorship program development. 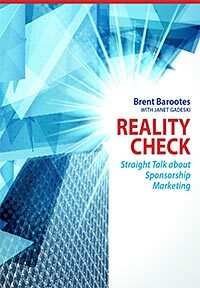 Each sponsorship strategy is customized to meet a client’s identified needs. The Partnership Group continues to grow its success within the sponsorship industry by creating innovative programs that bring measurable outcomes and tangible results for its clients. Seamus has a passion for the business of sponsorship, specializing in evaluating and auditing properties. Over the past decade, he has built expertise in developing and executing strategic sponsorship plans for corporate and non-profit clients including Esso, HBC, Sun-Rype Products Ltd., The Royal Agriculture Winter Fair, Squash Canada, and Rugby Canada. Seamus hones his skills by attending and presenting at leading sponsorship industry conferences across North America, including: IEG, the Western Sponsorship Congress, and Selling Sponsorships: Strategies for Success Canadian Summit. Seamus has managed or supported a number of projects at the Partnership Group – Sponsorship Specialists™ for clients including Potash Corporation, Olds Agricultural Society, Scouts Hockey Tournament, MS Society, and STARS. Seamus holds a Bachelor of Commerce from Memorial University of Newfoundland and is a graduate of both the Sport & Event Marketing program at George Brown College and the Professional Sports Marketing certification program at the University of Kentucky. Tricia’s role as Operations Manager at the Partnership Group – Sponsorship Specialists® is diverse: she is responsible for management of the IT program, human resources, finances, subcontractors, payroll, and accounts payable/receivable. Tricia has over 12 years of experience in the Group Retirement industry, focused on office management and training. As one of the original employees for a national benefits company, Tricia played a major role in helping many employees advance into more established roles as account executives, managers, trainers, coordinators, and senior customer service specialists. Tricia brings leadership, organizational management, and direction to the Partnership Group, and plays an important role in the Western Sponsorship Congress. Tricia is active role in her community; and enjoys volunteering to help raise money for charities such as the Calgary Food Bank and The Salvation Army, and is a volunteer coordinator for the Southwest United Soccer Association, a community school volunteer, and an active participant at parent council meetings. Second to her children, music has always been Tricia’s passion; she has written and recorded songs and for over 10 years she has enjoyed singing the national anthem at sporting events. Tricia enjoys connecting with children through music, and has helped direct children’s Christmas pageants and many musical concerts. Tricia comes from a very close-knit family and enjoys living in Calgary with her husband and two children. Alison Hagan has been a fundraiser with the Multiple Sclerosis Society of Canada, Alberta and NWT Division, since 1998, as the Director of Fund Development. 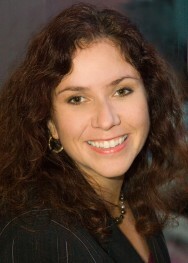 Alison is passionate about marketing and sponsorship. Alison grew up in rural Manitoba, graduated from the University of Regina in Journalism and English, spent a brief stint in Quebec City and Winnipeg, and now loves living in Edmonton. The MS Society in Alberta hired The Partnership – Sponsorship Specialist in 2006 to do a full evaluation of the partnerships and as a result has increased cash sponsorship to almost half a million dollars. Born and raised in Winnipeg, Manitoba, Chrystal Robert-Macey is the Principal of The Sponsorship Experience, a consulting business focused on strategic community investment. Although trained as an educator, Chrystal spent the majority of her career working in the public sector, most notably as the Director of Community Support & Partnerships for the Manitoba Lotteries Corporation. In addition to servicing clients from both the buyer and seller side of the business, part of Chrystal’s focus for The Sponsorship Experience has been a return to her roots as a teacher as she now spends part of her time sharing her expertise through facilitating seminars. Diane is a Certified Executive Coach who is committed to supporting her clients in the achievement of their goals. An accomplished leader and fundraising professional for the past 20 years Diane has been in results-oriented roles her entire career. Diane was responsible for raising over $40 million in sponsorships during her career in leadership positions at the Manitoba Games, 1999 Pan American Games, the University of Victoria and the Royal BC Museum. She has the ability to develop high performing teams and was a high performance synchronized swimming coach before moving into sport management in the early 90’s. As an Executive Coach, Diane encourages her clients to get clear on the results they desire and supports them through coaching conversations to create a plan of action and accountability. Her clients experience results that create momentum, focus and success in the areas that are important to them. Diane believes that if something isn’t working in your career or life, pay attention to it and take responsibility for changing it. A coach will help you do that. When she’s not coaching, Diane enjoys keeping up with her family on the trails of Vancouver Island and challenging herself with running and hot yoga, followed by great food and wine. A balanced life, is a good life. Doug is a senior digital marketing and PR professional with over 20 years experience in media (newspapers), web publishing, software (publishing systems), telecom (wireless data and voice), and newswire services. Doug has a BA in psychology, a MBA from the University of Saskatchewan and far too many hours on the Internet. In spite of that he has yet to go viral. 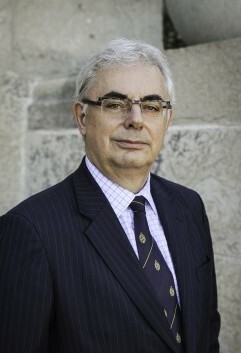 Dr. David Barnard became President and Vice-Chancellor of the University of Manitoba on July 1, 2008. 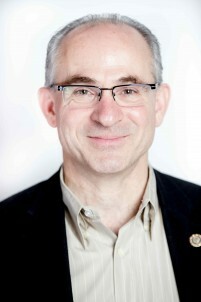 His career includes serving as the President and Vice-Chancellor of the University of Regina (1998-2005), and as Vice-President (Administration) and Controller (1996-1998). 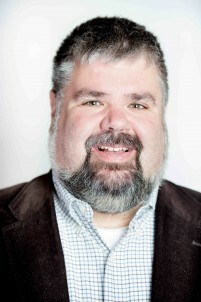 He previously spent 19 years at Queen’s University where he was a Professor of Computing and Information Science and assumed several increasingly senior administrative roles, including Associate to the Vice-Principals Research, Human Services and Resources at various times. In 2005-08 he was COO of iQmetrix. Dr. Barnard holds B.Sc., M.Sc. and Ph.D. degrees in computer science from the University of Toronto and a Dip.C.S. in theological studies from Regent College, University of British Columbia. His research has been supported by the Natural Sciences and Engineering Research Council, the Social Sciences and Humanities Research Council, international agencies and industry. 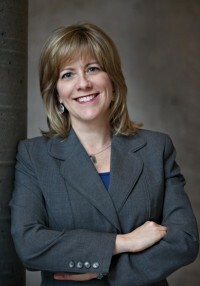 Dr. Barnard has extensive board experience including at the Bank of Canada (Executive Committee, lead director), the Association of Universities and Colleges of Canada (chair), Canadian Network for the Advancement of Research, Industry and Education, the Saskatchewan Provincial Court Commission (chair), Saskatchewan Power Corporation (chair), and the Canada West Foundation. Currently he chairs the Board of the Association of Universities and Colleges of Canada and is a member of the boards of Greystone Managed Investments and CentreVenture Development Corporation. Currently employed as the Marketing and Sales Supervisor with the City of Edmonton’s Community Services Department, Gary leads a team responsible for admission, retail, advertising, sponsorship sales and strategic marketing for the City of Edmonton’s Recreation Centres and Attractions. His sponsorship inventory includes a collection of popular events and programs as well as naming rights to a diverse collection of current and future public recreation facilities. Gary authored the City of Edmonton’s Facility Name Sale Policy which establishes circumstances under which The City of Edmonton may proactively pursue facility name sales and a consistent approach and guidelines for assessing facility name sale opportunities. Gary has enjoyed making a difference in the lives of Edmontonians for over 20 years as a proud public servant having worked with a diverse range of Department staff, community agencies and corporate partners in an effort to increase participation and revenue in a variety of recreation programs, facilities and services. He is also an accomplished social marketing practitioner where his focus is on influencing attitudes and behaviours around a collection of important social issues. 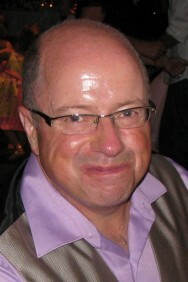 Jim Bryant is the National Manager, Experiential Marketing, for Xerox Canada. 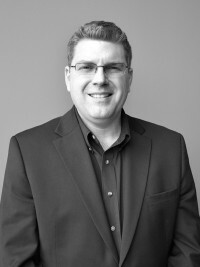 Appointed to the position in 2011, Jim is responsible for the event marketing and sponsorship/partnership portfolios for Xerox’s Canadian operations, as well as developing unique, experiential programs that generate one-to-one connections between customers and the company’s brand. Prior to this posting, Jim was Manager, Event and Sponsorships where he successfully propelled Xerox Canada’s sponsorship program through the development and implementation of an ROI-based, results driven model that measured the effectiveness of each of the company’s properties. Jim joined Xerox Canada in 1989. Since that time, he has held a variety of sales and sales management positions within the company. In addition, Jim became a Lean Six Sigma Black Belt within Xerox’s Business Transformation office. In this role, he was responsible for improving the company’s business processes and his projects delivered more than $1 million in cost-savings, and more than $750,000 in top-line growth for the company. 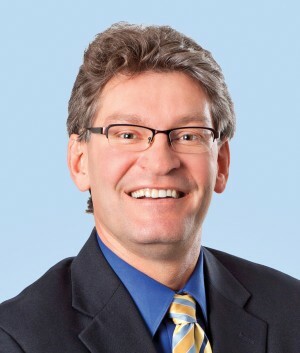 Jim holds a Master of Business Administration from Saint Mary’s University and a Bachelor of Commerce in Entrepreneurial Management from Royal Roads University. 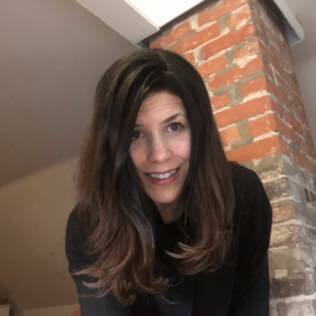 With a writing background that spans the journalism, legal, non-profit and new media industries, Kelly excels at finding, and then telling, stories on any topic. Her four years as a digital media writer and SEO copywriter, and three years in the newspaper industry, are rounded out with an educational background that includes an English degree and a graduate certificate in journalism. Kevin is an experienced digital communications strategist with a forte for helping companies meet business objectives using digital tools. Working with clients in the oil and gas, finance, retail and pharma industries, he specializes in creating and executing measurable digital communication and social media plans. Marco is a graduate from the Haskayne School of Business at the University of Calgary and the former VP of Sport, Culture and Major Events at Tourism Calgary. 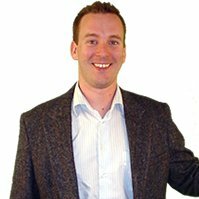 He left University in 2002 to create a competitive and responsible approach to sport event tourism. Recognized as a best practice model in Canada, the strategy resulted in the creation of the Calgary Sport Tourism Authority in 2005. Marco led a collaborative, city-wide effort to attract events to Calgary and invest strategically into amateur sport for over 12 years. Highlights include: the CN Canadian Women’s Open, the SHAW Charity Classic, the World Water-Ski Championship, Cavalia and the 2015 Canadian Open Volleyball Championship. He played key role in the 2012 IIHF World Junior Championship – uniting Calgary and Edmonton for the first time to deliver an event that broke 30-year records for ticket sales, attendance, and economic activity. Under Marco’s tenure, Calgary was twice recognized as one of the top 10 sport cities in the world by Sport Business International of London. He recently chaired the JUNO Awards and JUNO Week Celebrations for the second time in 2016 – the most important music event in Canada – resulting in what many industry insiders touted as one of the best JUNO Awards staged in the 45-year history of the event. 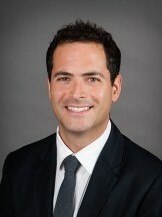 Later that year, as the Executive Director of the Calgary Sport Tourism Authority, Marco led and co-presented a pitch to Calgary City Council – establishing the Calgary Olympic Bid Exploration Committee. In late 2016 and into 2017, he served as the Director of Olympic Bid Exploration – responsible for developing the Overall Concept and Master Facilities Plan to stage and deliver the 2026 Olympic & Paralympic Winter Games. His mandate included: all Sporting Venues, Villages, Accommodations, Media Facilities, Transportation, Environment and Sustainability. With over 19 years of successfully leading and marketing community initiatives, Mark brings a wealth of expertise and passion to his work. Working with diverse stakeholder groups, in both the public and private sectors, Mark has fostered a number of international, national, provincial, and regional projects. Mark’s portfolio includes providing guidance and strategic planning to post-secondary institutions in the areas of corporate and community relations, media relations, athletic programming and content, strategic partnerships and alliances, fund development, and event coordination. Of significance, a project that includes the creation, guidance, and stewardship of a post-secondary advancement team that successfully implemented a $70 million capital campaign. With his strong marketing, communications, and strategic planning skills, Mark has managed the operations of a professional sports franchise and experienced building a franchise “from the ground up”. A strong community advocate, Mark has built lasting relationships with international organizations. Mark also brings strong board governance and policy setting skills through his work with various boards including First Calgary Financial, where he served 8 years as a director and 4 years as Chairman of the Board. A $2.8 Billion dollar company, First Calgary Financial has been recognized as one of Canada’s 50 Best Managed Companies. As an industry sector advisor, Mark has assisted several Partnership Group – Sponsorship Specialists™ clients including the City of Edmonton, City of Kelowna, Grant MacEwan University, Evergreen Park, SIAST, World Vision Canada, and The Boys and Girls Club. For 17 years, Mark enjoyed a very successful career in the Canadian Football League, winning 3 Grey Cup Championships receiving CFL’s Man of the Year Award twice for dedication on and off the football field. A graduate of the University of South Dakota, Mark and his family reside in Kelowna, BC. 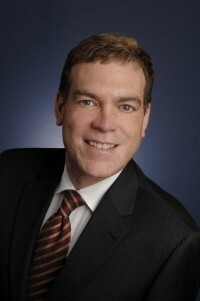 A graduate of the University of Regina’s Journalism and Communications program, Ron joined Farm Credit Canada (FCC) as Vice President, Communication and Corporate Social Responsibility in November 2011 after a 25-year working career in communications in the energy and telecommunications industries, as well as within Government. In addition to his executive responsibility for FCC’s community investment and social responsibility programs, Ron also leads the communications, change management, translation and content management, and social and traditional media functions for FCC. He is proud to work for a company that has been ranked repeatedly amongst the top 10 employers in Canada and has a strong history and reputation of community involvement across Canada. Ron currently is a Board Member of Globe Theatre and recently served on the Saskatchewan Roughriders 100th anniversary committee. He also was a fundraising chair for galas on behalf of Street Culture Kidz, an inner-city youth organization, and the Royal Canadian Legion One 80th anniversary gala in Regina. His other past involvement includes sitting on the Board of Directors for the Saskatchewan Science Centre and working on marketing and communications for both the 2003 Grey Cup and the 2001 Mastercard Memorial Cup. With his long history on “both sides as a table”, managing corporate sponsorship and community investment budgets as well as volunteering on behalf of numerous charities and community activities, Ron is passionate about the need for both groups to nurture better relationships and achieve business goals together. Some of his most satisfying achievements have come from several innovative business/community partnerships throughout his career. Ron lives in Regina with his wife, Stacey, and two children. Tom McCabe has over thirty four years experience in the banking industry reaching executive ranks with the Bank of Montreal. After his retirement, he served as President and CEO of Alberta Tourism, Executive Vice President of Haines Elliott Marketing Services and in 1997, he took over as President and CEO of Theatre Calgary. Tom retired from Theatre Calgary September 30, 2014 leaving a legacy of nineteen consecutive surplus years, and a very healthy endowment. During his career he has served on boards of over 20 organizations both for and not for profit and was chair of many. 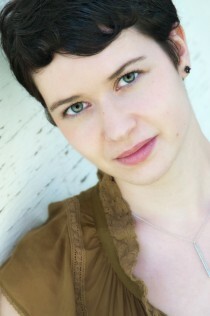 He currently is consulting and working closely with Vertigo Theatre. Tom is the recipient of the Governor Generals Medal in recognition of significant contribution to compatriots, community and to Canada, the Special Achievement Rozsa Award for Excellence in Arts Management, a Calgary Award for Community Achievement and Community Advocate. He is also the recipient of the Province of Alberta Centennial Meal for outstanding service to the people and province of Alberta.